Ford has introduced a special edition of the Fiesta ST, one year on from the first examples hitting UK roads. 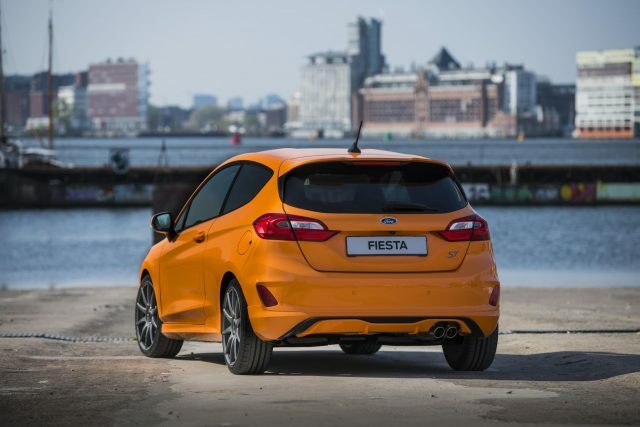 The Fiesta ST Ford Performance Edition is limited to just 600 examples, all in three-door bodystyle and finished in Deep Orange paint. Based on the best-selling ST-3 trim, the Fiesta ST Ford Performance Edition gains specially-designed Ford Performance parts, including 18-inch Ford Performance alloy wheels – shaving seven kilograms of weight from the standard wheel set – and a Ford Performance coilover suspension pack with stainless steel damper housing and powder-coated Ford Performance Blue springs. On sale from June, with deliveries in September and with a £3,000 price premium over the standard Fiesta ST.